Saw this bike parked downtown. 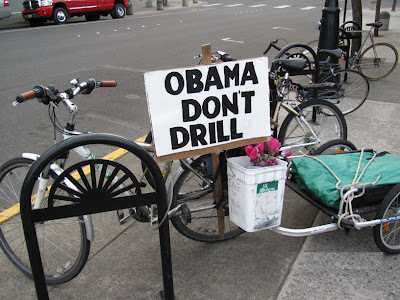 Better to see this sign on a bike than on the bumper sticker of a car even though I wrote earlier, in this blog "if we keep consuming oil we might as well drill for it in our own territory." 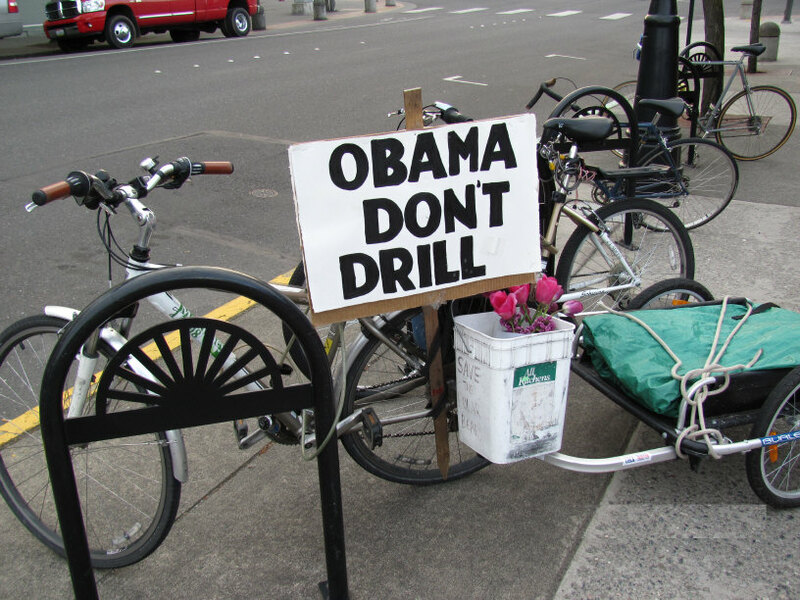 I wasn't against Obama's plan to open up more offshore areas to drilling, even though I've never driven a car. Domestic production is still better than imports, but better yet is less consumption and more alternatives. Oil well blowout in Gulf of Mexico is "rough seas" for the politics of oil drilling. Here in this area, people of Anacortes, WA. are still morning the loss of 7 workers in the Tesoro Refinery accident. Even though it's better to produce locally, it's still best to figure out how to consume less fossil fuel.